Influential singer-songwriter Leonard Cohen has died at the age of 82, according to a publicist for his U.S. record label. We have lost one of music's most revered and prolific visionaries. "A memorial will take place in Los Angeles at a later date. The family requests privacy during their time of grief." Cohen's latest album came out less than a month ago; reviewer Tom Moon wrote that You Want It Darker was a solemn album of elegies that "unfold with a slow, stately, church-ritual order; when you're moving toward this thick dark, every step is measured." The album was produced by Cohen's son, Adam, in a process that included recording the congregation of the family's old synagogue in Montreal. He was born in Canada and moved to New York to break into the music business in 1966, according to Reuters. "Although he influenced many musicians and won many honors, including induction into the Rock & Roll Hall of Fame and the Order of Canada, Cohen rarely made the pop music charts with his sometimes moody folk-rock. "But Cohen's most famous song, "Hallelujah," in which he invoked the biblical King David and drew parallels between physical love and a desire for spiritual connection, has been covered hundreds of times since he released it in 1984." Cohen was himself a singer although, as Billboard notes, his songs that became radio hits were more likely to have been recorded by other artists, such as "Suzanne" by Judy Collins. "You get [a great line] after sweating. In other words, you discard — I'm in this situation where I can't discard anything unless I finish it. So I have to finish the verses that I discard. So it takes a long time. "I have to finish it to know whether it deserves to survive in the song. So in that sense, all the songs take a long time. And although the good lines come unbidden, they're anticipated. And the anticipation involves a patient application to the enterprise." Copyright 2016 NPR. 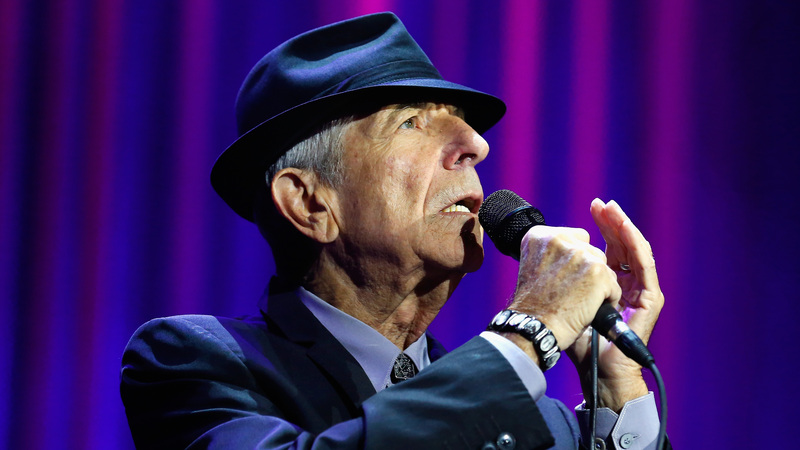 To see more, visit NPR or the FUV Essentials tribute to Leonard Cohen.